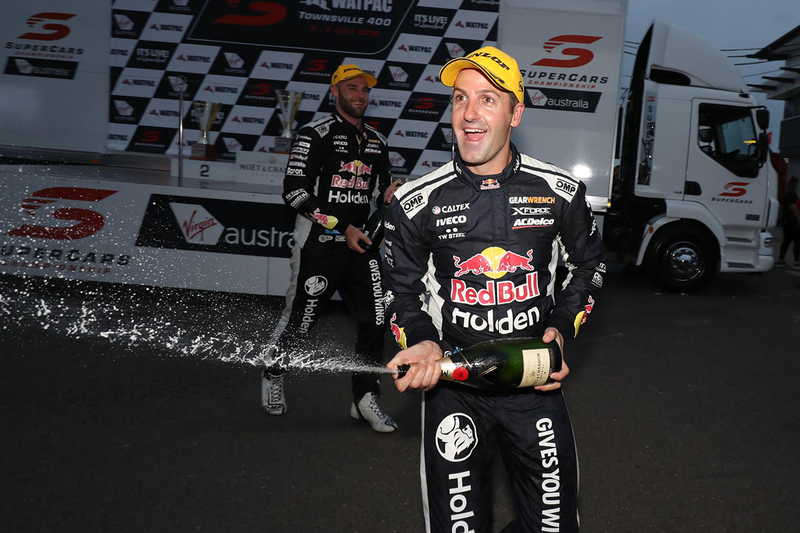 Jamie Whincup says questions about his Supercars title prospects are “like getting asked ‘what are you going to have for Christmas lunch?’ 55 times”. The Red Bull Holden Racing Team driver headed to Townsville fifth in the standings, 433 points behind leader and his 2017 rival Scott McLaughlin. While the Watpac Townsville 400 marks the halfway point of the season, that deficit prompted Hall of Famer Mark Skaife to rule out Whincup winning an eighth title in 2018. 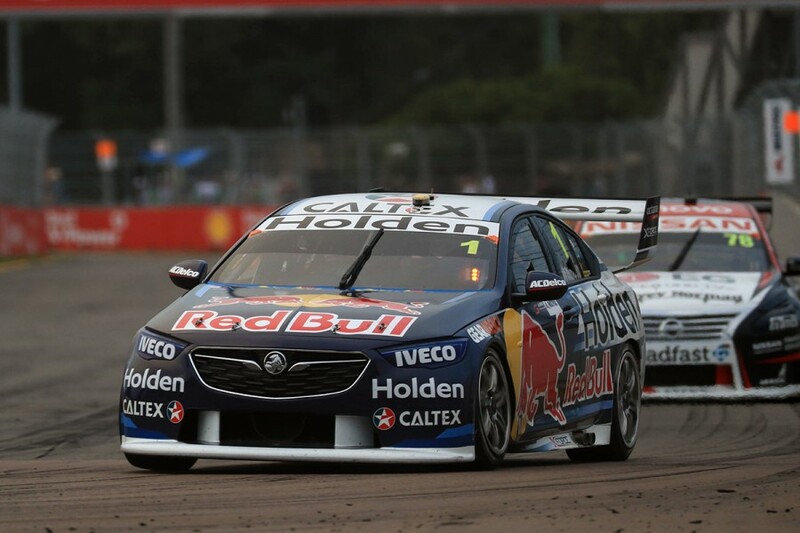 Victory at Reid Park on Saturday was the third of Whincup’s campaign and first since April, moving him up to fourth in the points, albeit still 412 behind McLaughlin. Whincup remains wary of discussing a title bid, saying, “I’m not thinking about the championship” post-race. “We’ve been constantly asked the last few months and it’s like getting asked ‘what are you going to have for Christmas lunch?’ 55 times,” he said. Pressed on the notion he’s was still in the mix, given the amount of racing still to come – 14 starts and the full PIRTEK Enduro Cup – Whincup acknowledged he was “hanging in there”. He said avoiding “worrying” about the title all year was in part out of necessity. “I don’t know what to say, I just go out there to enjoy my racing, today was a fantastic day,” he added. “I thought we put in a good performance and that’s what this part of the year’s all about, having some fun and not over-analysing it and not worrying about something that’s six months away. “If you start worrying about that from March, you spend 10 months of 12 months worrying about some championship and therefore over 15 years there’s your life gone. Whincup's team-mate Shane van Gisbergen is McLaughlin's closest challenger, 152 points behind, while David Reynolds sits third, 360 adrift.